In a time when the world is being polarized by distrust and fear, there is a need to once again find and restore our true values, unencumbered by religion and society. The world is being influenced in so many different ways. Industry is constantly redefining the physical environment in which we live. There is a constant state of disruption and discontent that is redefining our mentality and our state of being. It is easy to become lost in the noise and mix that surrounds us every day. The ocean is made of a zillion drops of water that can be poisoned one drop at a time. It is happening. Is it possible to restore a state of calm and quiet – our true nature? What is our true nature? Is this the answer for humanity? Is it possible to return to our true and basic nature which is founded upon universal truth and universal love? We need to start somewhere. The ocean of humanity can be changed with the realization of what is happening, one individual at a time. Read the book. I have come to realize that my existence has been shaped simply by the choices that I have made. All I am is a result of the choices that I have made on my journey through time. In my search for Truth I have been faced with many challenges. I have learned that the challenges I confront each day offer choices. Each choice represents a different pathway. In my journey onward, I have followed many different pathways, some filled with joy; some, sorrow and hardship. I have gained knowledge and wisdom along the way. I have learned that wisdom cannot be gained from books, or teachers or Spirit guides. It comes from experience. It comes from living. I have learned that it takes strength and courage to choose. When you choose, you gain experience. It is through such experience that you gain wisdom. I have learned how to use wisdom to navigate my physical life and that the spiritual path is navigated not by wisdom but by a compass that points in a different direction. It is the direction of spiritual joy. I have learned that all of life is one. All of existence is connected. Knowledge, Truth and wisdom belong to no one. It belongs to all. As consciousness expands, it embraces all knowledge, all Truth and all wisdom. It embraces a realm of totality where all such things belong to everyone. This is the nature of oneness and the foundation of joy. Continue reading this free sample on Amazon. Carl Mohan, B.Sc.(Hons. 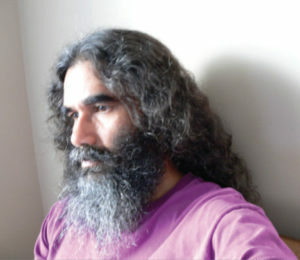 ), father of three children, is a retired Systems Analyst who spent much of his personal life exploring spirituality. He was given the name Vision Dreamer by a Choctaw shaman. He lives in Guelph, Ontario, Canada.